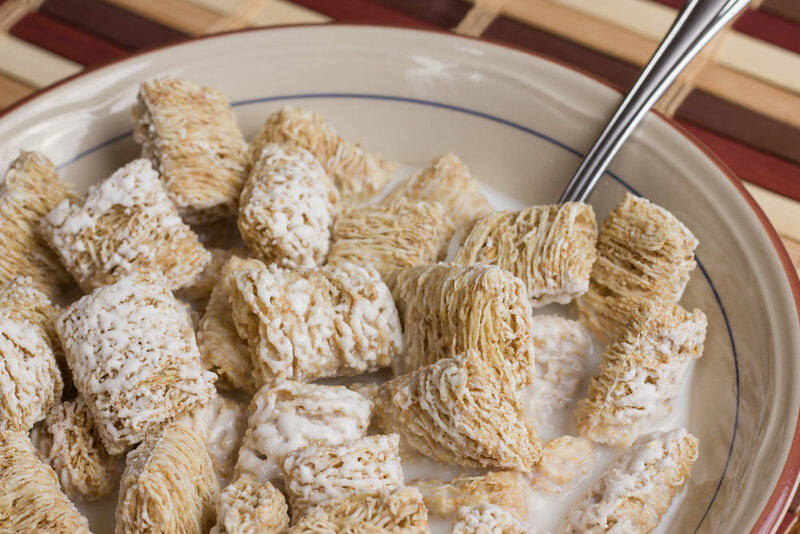 Great Lakes Clinical Trials is looking for adult participants for a clinical trial to assess appetite levels after consuming two different breakfast meals. Not be users of marijuana or any recreational drugs. A drug test will be administered at screening. Two testing days separated by 1 week, with each visit lasting approximately 5 hours in length. Qualified participants will receive $90 for completing each testing day, up to $180 for the completing the entire study. If you are interested in joining this trial, sign up by clicking here or visiting www.greatlakesclinicaltrials.com/cereal. One of our staff will be in touch with you within 24 hrs to conduct a short phone screen to determine your eligibility. Otherwise, you can call our center directly at (773) 275- 3500 to speak with one of our staff today. 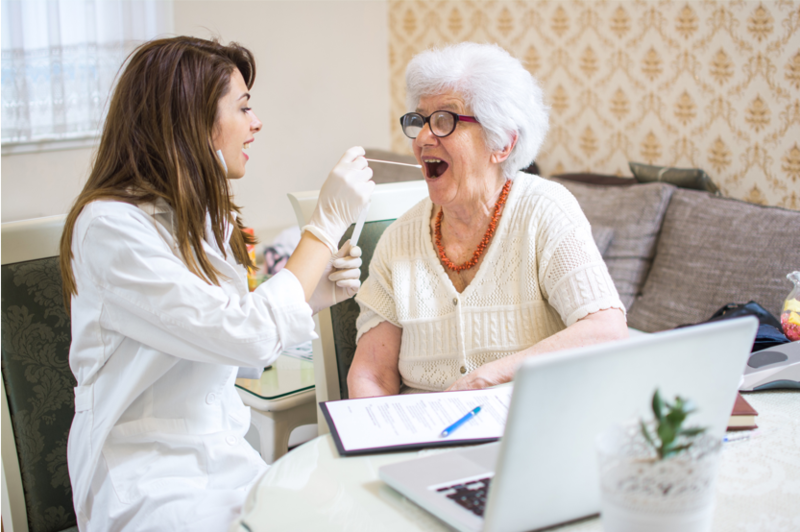 Great Lakes Clinical Trials is pleased to announce a new service for adults over 50 years of age: Online appointment booking for free memory assessments! 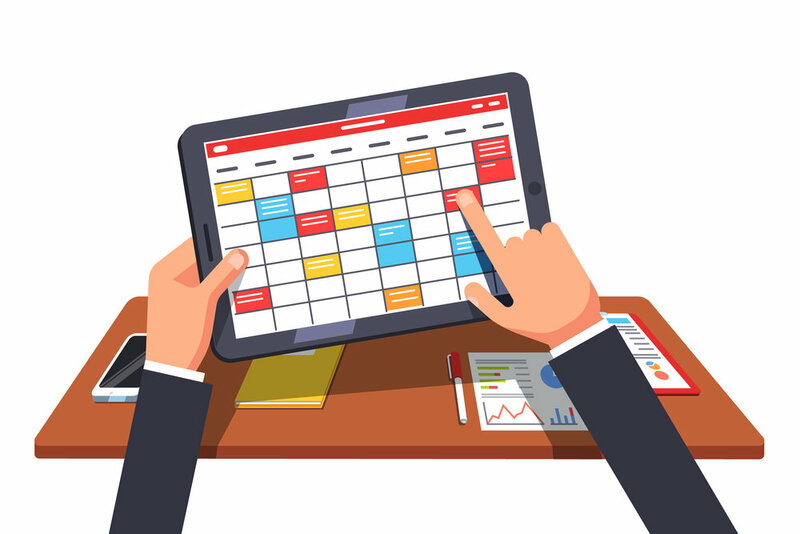 Beginning Monday, November 5th, visitors to the Great Lakes Clinical Trials website can now book their own Memory Assessment appointments from the convenience of their computer or smart device — without the need to call into our call center. At each of these hour-long Memory Assessment appointments, you will meet with one of our trained memory experts, who will perform basic cognitive tests and discuss the results with you. For those between 60-75 years of age, we also provide free (optional) genetic testing for the ApolipoproteinE Alzheimer’s gene. Afterwards our team will also present clinical trial opportunities for which you may be qualified - though there is no obligation to join a study. Book a Free Memory Assessment Today! Booking an appointment is easy as 1-2-3! 2.) Choose your date and time. Appointments can be booked every hour on the hour, between 8-4pm, Monday through Friday. 3.) Provide your name and contact information. A confirmation of the appointment will be emailed to you or sent through text messaging. Please feel free to pass this information along to your family and friends who may be interested in a free memory assessment. For me, Alzheimer’s research is very personal. Participating in research is a way for me to face my fears about getting Alzheimer’s and do something about it. Thank you to U.S. Senator Tammy Duckworth for commending Great Lakes Clinical Trials and the Global Alzheimer’s Platform on our efforts to find effective treatment to end Alzheimer’s Disease. Richard Apple of Rockford, Illinois has been a clinical trial participant at Great Lakes Clinical Trials. Here’s his story about why he chose to join the fight. 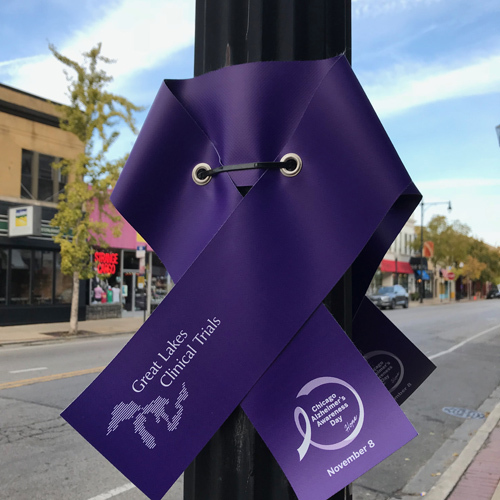 Great Lakes Clinical Trials is looking for individuals, aged 65-75 years, who have not been diagnosed with any memory impairment, but have a specific form of a gene that can increase the risk of developing Alzheimer's. Click here or call our team at 1-773-275-3500 to learn more today. Great Lakes Clinical Trials is pleased to announce that we will soon be initiating a research program for individuals with Atopic Dermatitis. This is part of the company’s diversification into dermatology under the direction of our Board-Certified Dermatologist. 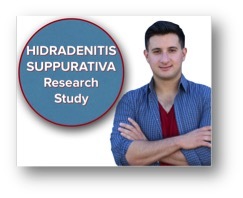 Other dermatology research programs at Great Lakes Clinical Trials include studies in Psoriasis and Hidradenitis Suppurativa (HS). If you would like our staff to contact you for enrollment, please fill out the form below to provide your contact information. Atopic dermatitis is the most common type of eczema. More than 18 million American adults have atopic dermatitis. "Dermatitis" refers to a condition of the skin and "atopic" relates to diseases caused by allergic reactions. During a flare, Atopic Dermatitis becomes a red, itchy rash which often appears on the cheeks, arms and legs. Many different physical and internal factors can trigger an eczema flare-up. The resulting inflammation causes increased blood flow and the urge to itch. Eczema flares are part of the agonizing itch-scratch cycle. It’s hard to fight the physical and psychological components that drive the itch-scratch cycle. Scratching feels good at the time but can lead to more inflammation and even skin infections. There’s no known cure for AD. Finding the right treatment is important to help reduce itching and discomfort. Calming the skin reduces stress and helps prevent excessive scratching that leads to skin infections. Treatment options vary from over-the-counter skin care, prescription medication, and lifestyle changes. The best preventive measure is to moisturize the skin. This improves the function of the skin barrier. Healthier skin will become inflamed less often and provide a better barrier against allergens and irritants. Dupilumab (Dupixent) was approved by the U.S. Food and Drug Administration (FDA) in March 2018. It is the first biologic agent approved to treat moderate to severe Atopic Dermatitis. Dupilumab is also in development for treating moderate to severe asthma. In two studies published in the New England Journal of Medicine, dupilumab improved the symptoms of AD compared with placebo. This included itchy skin (pruritus), anxiety and depression, and quality of life. A recent phase II clinical trial evaluated an oral drug called baricitinib. In the trial, about 61 percent of patients with moderate to severe Atopic Dermatitis receiving baricitinib achieved a 50 percent or more reduction in the Eczema Area and Severity Index (EASI-50). This was compared to 37 percent of patients who received a placebo. Baricitinib is already approved by the FDA for rheumatoid arthritis. Another study looked at a new treatment called nemolizumab in 216 adults with moderate-to-severe atopic dermatitis. All monthly doses of nemolizumab significantly improved pruritus in these patients during the course of the study. In a 2015 study, 69 adults with Atopic Dermatitis were tested with a topical formulation of a drug called tofacitinib citrate. This drug is most often given orally to treat rheumatoid arthritis. It’s also used for psoriatic arthritis and ulcerative colitis. Tofacitinib citrate was shown to also have efficacy in people with Atopic Dermatitis. This was a very small study and more testing is needed. But the use of an RA medication in Atopic Dermatitis patients highlights some similarities. It suggests that Atopic Dermatitis functions more like an autoimmune disease than a surface-level skin disorder. More research to better understand these similarities should pave the way for new treatments. Clinical trials are a great option for people looking to try a new treatment. If you’re interested in participating in clinical trial for AD, the National Eczema Association (NEA) posts a current list on their website. By participating in clinical trials, you can help shape the future of AD treatment options. It’s a promising time for AD research. There’s a public demand for more information, and researchers have taken an active interest in providing solutions. Based on current research and clinical studies, the outlook for AD patients is promising. There are new medications and treatments on the horizon. Researchers are starting to treat AD like an autoimmune disease, which has opened a new realm of possibilities.